It's puer time again. 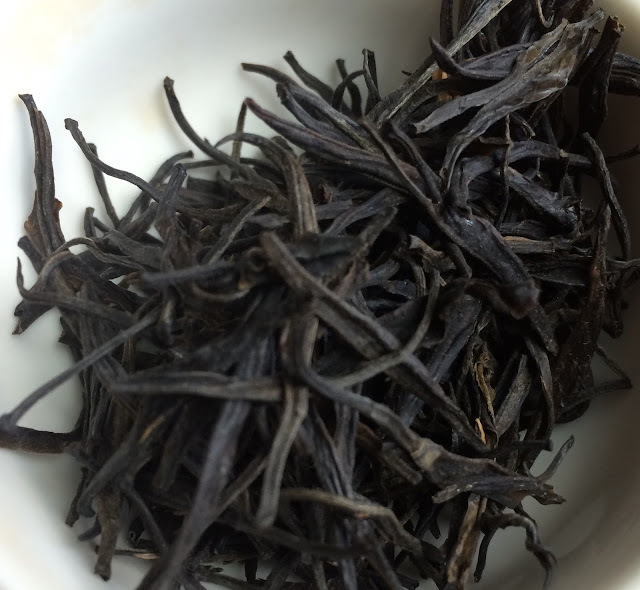 Today's review is of Teanami's Zi Cha or "purple tea". The dry leaves appear mostly black or at least very dark but the fresh leaves are reddish purple in color, the result of a mutation in anthocyanin pigmentation. This tea has a magical aspect in that after the leaves are infused they become mostly green. This is my first experience with a purple tea and I enjoyed it. 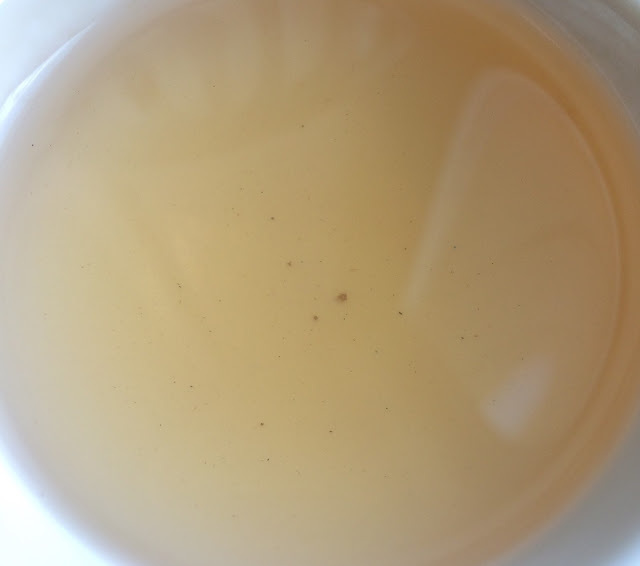 I prepared this tea with two different sets of parameters: (1) 5 grams, 150 mL gaiwan, 200F with steep times of 10s, 20s, 30s, 30s, 30s, 30s, 60s, 5 minutes and (2) 8 grams, 150 mL gaiwan, 200F, 30s. The most interesting cups using the first set of criteria were steeps number 4 (30s at an accidental 195F) and 8 (5 minutes at 212F). The fourth infusion yielded a cloudy liquor with that was astringent and bitter but also woody with notes of tobacco and leather as well as the char on grilled romaine or broccoli. I was reminded of broccoli rabe, too. In addition to these rather robust notes there was a background note of stone fruit sweetness. The flavors declined but I found them again in steep number 8. The second session had a couple of highly flavorful cups too. The fourth infusion had the tobacco/leather but the burned sweetness came more into focus. It reminded me of a slice of burned French toast but later I recalled the smell of ponderosa pine bark which I smelled in Oregon doing firebreak work. The sixth infusion had all the notes of the previous ones but yielded a dry sweetness like cocoa powder. Curiously, it was not the taste of chocolate I experienced, but rather, the sensation of cocoa powder on one's palate. I hope I have at least 8 grams more of this tea because I'd like to drink it again. On another note, this tasting made me wonder about the common set of flavors associated with raw puers. What flavors do you associate with raw puerhs? This Zi Cha was provided by Teanami. P.S. Did you read my notes on the Teanami Bu Lang Raw 2011? Bonnie, I'm blushing, thank you! Raw puerhs are such a curious tea combining "masculine notes" with sweetness.